Curve-straight tweezer for depilation, golden colour, size 9cm. 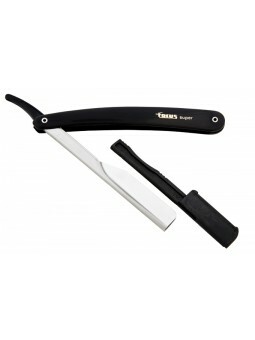 Shaver razor with interchangeable blades. Blade is mount it in a stainless steel base. Made with stainless steel from Solingen by the prestigious firm Focus. Shaver razor with interchangeable blades. Blade is mount it in a flexible plastic base. Made with stainless steel from Solingen by the prestigious firm Focus. Oblique desing on the front tweezer for depilation, golden colour, size 9,5cm. made with stainless steel from Solingen. 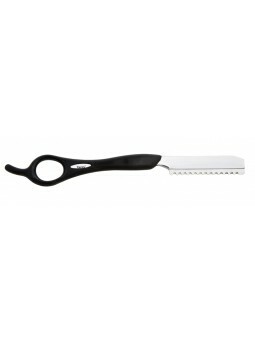 Sharp end tweezer for depilation, inox colour, size 9,5cm. Made with stainless steel from Solingen. Stainless steel bowl for shaving soap. Dedicate it to professionals and loversshaving.